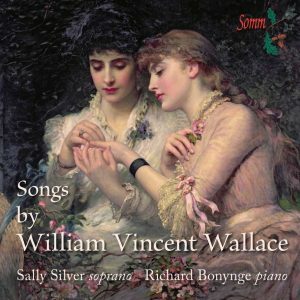 World Première recording of Piano Music by British composer Roger Sacheverell Coke (1912-1972) with the pianist Simon Callaghan. Little is known about Derbyshire pianist and composer Roger Sacheverell Coke though he was clearly valued during his lifetime both as a pianist and composer and there is an entry about him in Grove’s Dictionary of Music and Musicians. Artists who admired his work include Eugene Goossens who conducted Coke’s opera “The Cenci”, Sir Henry Wood who conducted the composer’s first symphony (broadcast on the BBC) and the Brosa Quartet who performed his chamber music. He was a friend of both Moiseiwitsch and Rachmaninov and dedicated his 2nd Symphony to Rachmaninov with his permission. 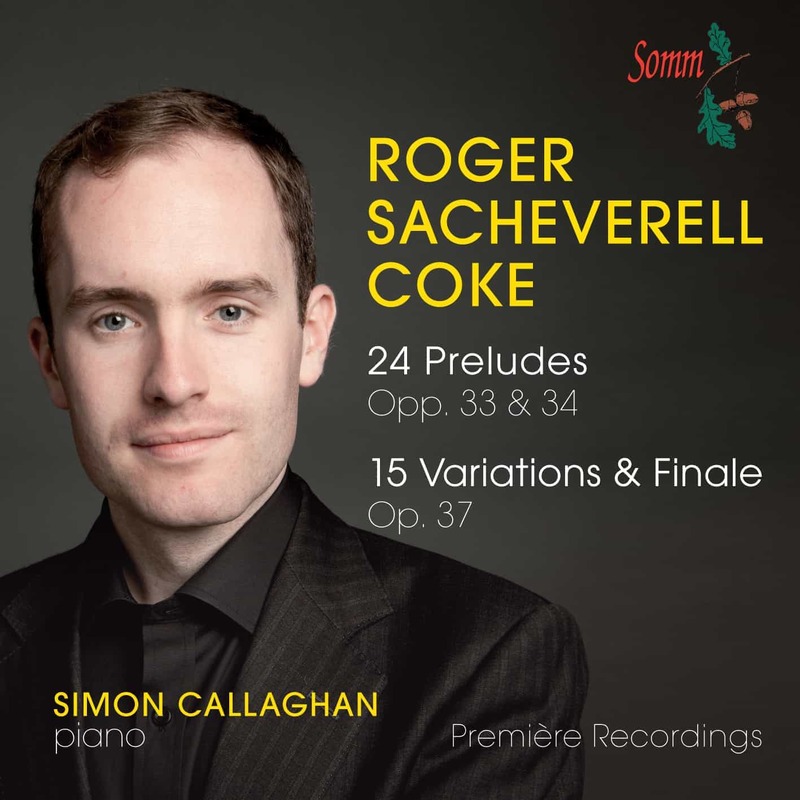 Although Callaghan knew of Roger Sacheverell Coke, he had never seen or heard any of his music until a friend and colleague gave him the score of the Preludes Opp. 33 & 34 in 2013. Callaghan was immediately intrigued by the complexity of the music on the page, the attention to detail and the quality of the works. Most information about Coke and his music is housed in Chesterfield Library (Derbyshire) and the British Library, where pianist Callaghan spent a lot of time researching Coke’s life and work, keen to assemble a clearer picture of the man and his music. A highlight of Callaghan’s research was unexpectedly discovering a recording in the British Library of Coke himself talking about his music and playing. 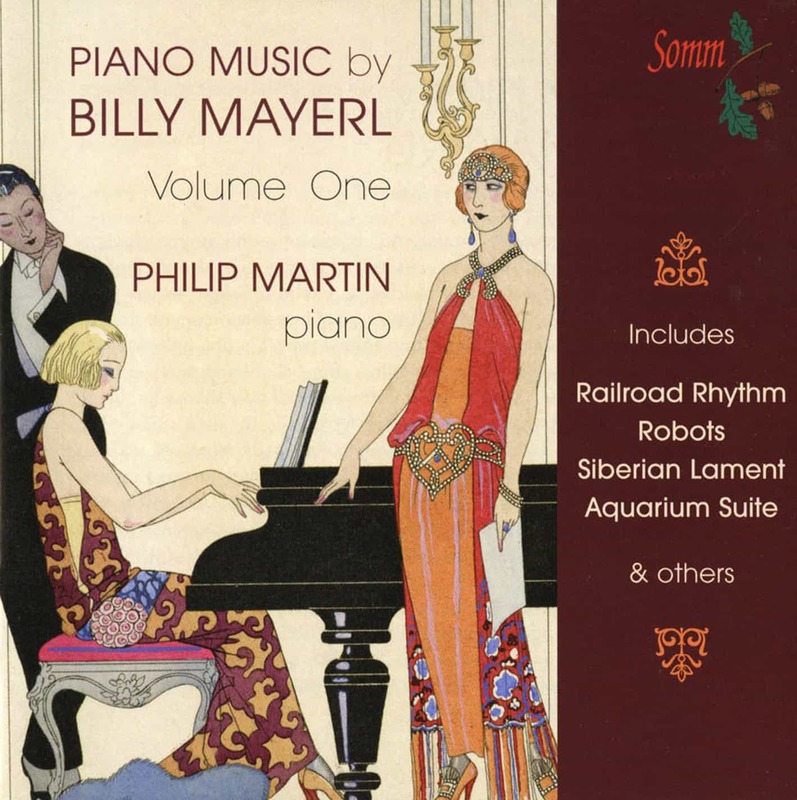 Although a large amount of Coke’s work remains in manuscript, none of the piano music on this CD has ever been recorded until now. There is, however, a live archive recording by Maura Lympany playing two of the Preludes from Op. 33. Callaghan discovered that Coke was educated at Eton and privately learnt piano with Mabel Lander (piano tutor to the young Princess Elizabeth, our current monarch). He came from a wealthy family and was Squire of Brookhill Hall, Pinxton, Derbyshire, a large and handsome Elizabethan residence that was once the property of King James I. Early performances of his music (such as those at the Bath Pump Room and on the BBC with the Bournemouth Municipal Orchestra) received rave reviews. However, after the London performance of his opera in November 1959 he suffered continual mental problems and retired from the public gaze. Brookhill Hall began to decay as he lived a hermit-like existence. Coke spent most of his time from then on in his studio at Brookhill which was originally stables and very expensively renovated by his mother (it could accommodate an audience of 300, and had a balcony and acoustic conditioning by the BBC). Steinway Artist Simon Callaghan has performed throughout the UK, Japan, Malaysia, Thailand, South Korea, Austria, France and Belgium and has broadcast on BBC TV and radio. Engagements have included Royal Festival Hall, Wigmore Hall, Fairfield Hall, Birmingham Symphony Hall, St David’s Hall Cardiff and Liverpool Philharmonic Hall (RLPO). 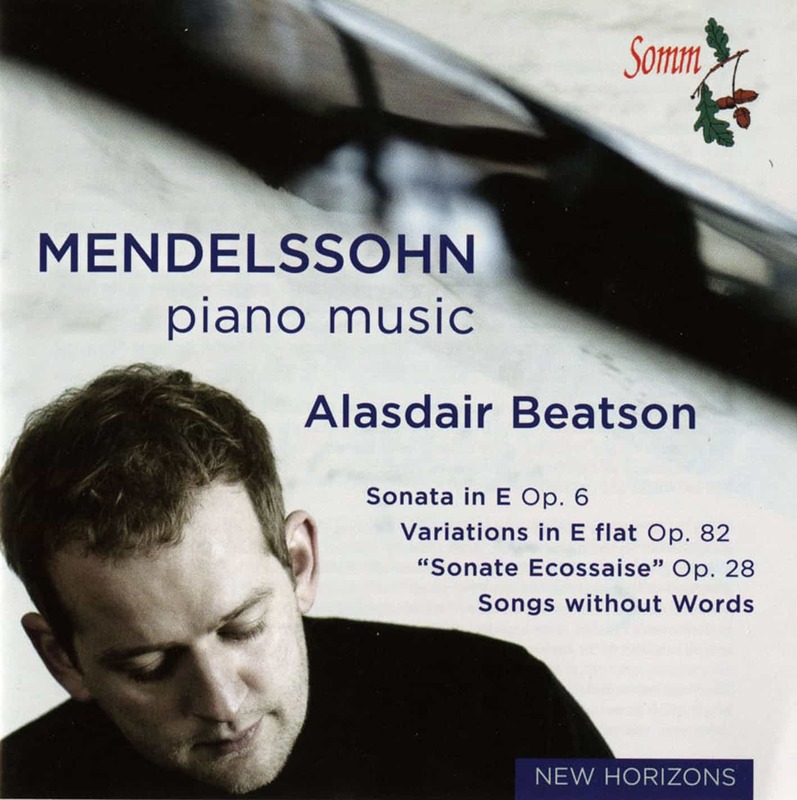 Other highlights include a gala concert with ENO principals, a residency at the Banff Centre (Canada) a highly acclaimed recording of English piano music and the first UK performance since 1946 of Medtner’s Third Piano Concerto. 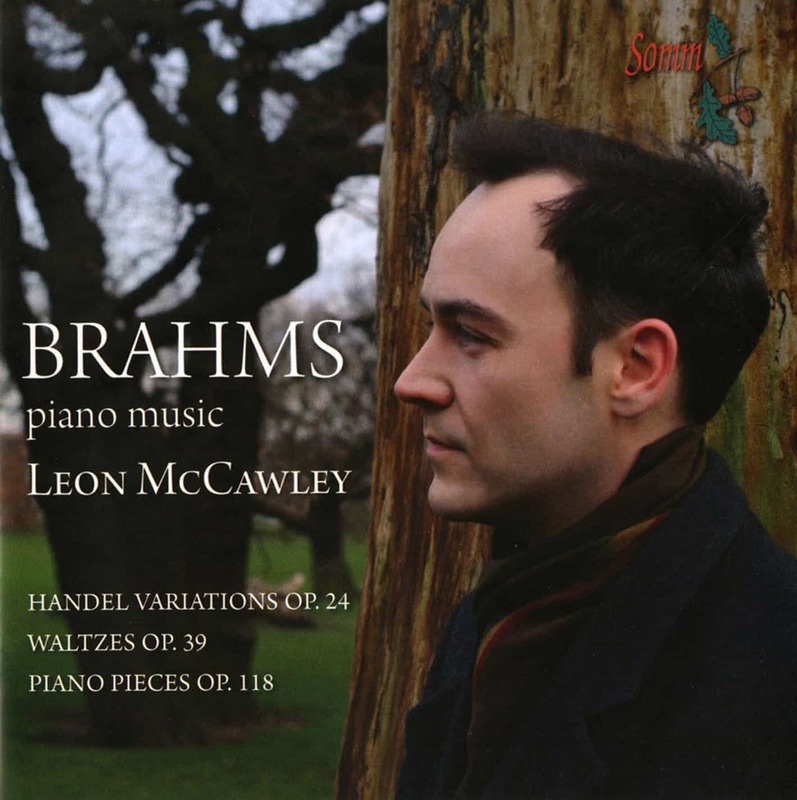 Recent recordings include a two-disc recording of Delius orchestral works in arrangements for two pianos (SOMM) and a two-volume set of Brahms (also on SOMM). Simon is Head of Piano at the Ingenium Summer Academy (Winchester) and Artistic Director of the renowned Conway Hall Sunday Concerts, the longest-running chamber music series in Europe.